The second stream of concern contends that believers will become spiritually lazy and even compromise the principles and theology of the Christian faith because of their disconnection from the local church. The problem with this argument is that surveys find a measurably greater degree of lukewarm faith among the believers in the pews. Revolutionaries, almost by definition, are zealous and passionate about obeying God’s Word and honouring Him. More often than not, they resort to departing from a local church in order to foster that focus. Warnings about heresy creeping into the minds and hearts of the Christian body are always worthy of consideration. However, it is just as easy to identify heretical teachings proposed from current church pulpits as it is to identify heretical revolutionaries. After all, research shows that only 51 percent of the pastors of Protestant churches have a biblical worldview! The embarrassing profile of Christians can be largely attributed to the quality of the teaching they have received in sermons, Sunday school classes, and small groups. It is inappropriate to suggest that revolutionaries are worse off because they do not receive teaching from a nearby congregation. In fact, many revolutionaries rely upon Bible teaching delivered through the media or via teaching of trusted Bible expositors whose podcasts they subscribe to. Revolutionaries are spiritual warriors. They do whatever it takes to lead a holy and growing Christian life and lifestyle. Because they are vitally concerned about the truths and principles they absorb, their media usage and organizational affiliations reflect the care they take to limit their exposure to that which is edifying. They are not perfect, by any means, but they are sensitive to the importance of exposure to people and information that will raise them to a higher standard, rather than drag them down to a defiling level. The third and final thread of dismay is based on the argument that massive departure from the local church will dissipate the hard-won, expensive resources of the church community and its influence upon culture. As a part of the Church, revolutionaries have no interest in denigrating any segment of the Kingdom; their goal is to be agents of transformation who support and add value to the good that exists in the Church. Again, from a practical standpoint, it is hard to take the “undermining church influence” argument seriously. Research shows that local churches have virtually no influence in our culture. The seven dominant spheres of influence are movies, music, television, books, the internet, law, and family. The second tier of influencers is comprised of entities such as schools, peers, newspapers, radio, and businesses. The local church appears among the entities that have little to no influence on society. It seems that if revolutionaries approach faith from a different angle, the Church has little to lose and much to gain. To those who are worried about their investment in congregational real estate, the only answer is to recognize that the Kingdom of God is not about buildings and programs. Those resources can be useful in building up the body of Christ, but we can never allow brick-and-mortar to be the engine that drives the Church. We have been looking at what the critics of the revolution will say to try and counteract the growing influence and impact of the revolutionaries on the Church as well as society and culture. The last blog dealt with the first of a number of very vocal criticisms. We saw that critics will argue that you must go to church – and they are referring to “church” as they define it. It would be good to reread that blog before continuing with this one as I continue to discuss this major concern. As I mentioned last time, the same God who is more concerned with what’s in our hearts than about mindless observance of meaningless routines refuses to impose specific regulations about our religious practices. He wants us to use the creative abilities He entrusted to us to express in our own way how much we love Him and want to glorify Him. In fact, there is not a verse in Scripture that links the concepts of worshipping God and a ‘church meeting.’ The Bible does not tell us that worship must happen in a church sanctuary and therefore we must be actively associated with a local church (as they define church). It simply tells us that we must worship God regularly and purely in spirit and truth. Take particular note of the fact that Jesus dismissed the organized worship of His day as “a farce” and intimated that we ought not be so limited as to how and when we worship God. When the Samaritan woman asked about worship practices and places, Jesus responded bluntly that the place and the form of worship meant less to God than the heart and commitment. He noted that, “The time is coming when it will no longer matter whether you worship the Father on this mountain or in Jerusalem … But the time is coming – indeed it is here now – when true worshippers will worship the Father in spirit and in truth” (John 4:21-23). He was highlighting the same foolish irrelevancies that traditionalists argue about today. We are commanded to worship god, and we are encouraged to meet with other Christians for various purposes. However, as we follow the development of the new covenant and the related community of faith, notice that Jesus and His disciples provide few guidelines and commands regarding such meetings. The same God who is so specific about things that matter to Him and that are important for us has provided few details about the logistics of Christian assemblies. That silence suggests that we have freedom to develop the means by which we act as a united body of disciples, as long as we perform the functions of God’s chosen ones in ways that comply with His general guidelines of behaviour and the functioning of the body of believers. And, let’s be loving but honest about what really goes on within the Body of Christ today. No informed Christian leader could ever make a straight-faced argument that involvement in a local church necessarily produces a more robust spiritual life than that seen among revolutionaries. Surveys tell us that Christians who are involved in local churches are actually less likely than revolutionaries to lead a biblical lifestyle. We should also address one other reality: the Bible never describes “church” the way we have configured it. The Bible goes to great lengths to teach us principles for living and theology for understanding. However, it provides very little guidance in terms of the methods and structures we must use to make those principles and insights prevail in our lives. It seems that God really does not care how we honour and serve Him, as long as He is number one in our lives and our practices are consistent with His parameters. If a local church facilitates that kind of life, then it is good. And if a person is able to live a godly life outside of a congregation-based faith, then that, too, is good. Remember, Jesus looks at the fruit. “So, every healthy tree bears good fruit, but the diseased tree bears bad fruit. A healthy tree cannot bear bad fruit, nor can a diseased tree bear good fruit (Matthew 7:17-18). True revolutionaries agree that being isolates from other believers – I.e., the Church (note the capital ‘C’) – is unbiblical. However, while they may not be integrated into a formal church congregation, they are not isolated from the Church. They may not belong to a specific collection of saints that engages in routines and customs at a particular location and under the leadership of a specific individual or group. However, neither are they spiritually untouchables who have no connection to the global Church. Every revolutionary I know have described a network of Christians to whom he or she relates regularly and a portfolio of spiritual activities which he or she engages in on a regular basis. This schedule of relationships and ministry efforts is the revolutionary equivalent of traditional congregational life – but better. These believers pursue the seven passions of a Christian revolutionary (discussed in detail earlier in this series of blogs) with a variety of people, in different forms and environments, but they are exuberant about their faith life. Compared to the “average” Christian I would say that the revolutionaries are substantially more Spirit-led, faith-focused, Scripturally-literate, and biblically obedient than their more traditional counterparts who are embedded within a congregation. In the current seeking, I find the Lord focusing my attention on Jesus and what he wanted in his new covenant. I do not think we have seriously looked at the new covenant with respect to daily life. We have extolled the new covenant in its aspects of salvation by grace, but we have not fully developed the lifestyle taught and expected. We fall on his grace for salvation and then pull ourselves up and begin to control of lives with a mix of Christianize and Old Testament laws. We want the grace, but we want to judge and rule by some set of religious mandates which actually vary from church to church or denomination to denomination. I admit that I must somehow begin to strain out the mix and match junk from the obsolete and live in the new. I admit that it takes time and often we are blind to what we really have in our practices that are not apart of the new covenant. “There is much to be learned by seeking the face of God.” This was a prophetic word given to me twice by two different people on two different nights at the same prayer altar in a little church where I was seeking direction for my life. Surprisingly, that same word still works today. I am still seeking the Lord for direction. Every movement of the Holy Spirit suffers through a multitude of critics who attack what God is currently doing. This new revolutionary move of the Spirit will be the same. These critics often arise from within the Church. George Whitefield, John Wesley, and other standard-bearers of the revivals withstood harsh attacks from established churches who complained bitterly that the itinerants used unorthodox means of reaching people, disrupted the status and flow of existing ministries, threatened the stability of society, and undermined the security and authority of pastors and denominational leaders. Today, however, we praise God that Whitefield and his colleagues persisted in thinking outside the box and enduring the unwarranted abuse from their spiritual kinfolk. In fact, energetic resistance by the established Church has accompanied every significant episode of growth in the Kingdom since the time of Christ. Jesus and His followers were slandered, ridiculed, physically abused, and murdered. The Protestant Reformation produced heated debate and violent resistance. The Second Great Awakening drew strenuous opposition from the established Church community. Even the more recent and less extensive movements of faith, such as the Jesus Movement of the 1960s, were dismissed and attacked by religious leaders who were aghast at the different types of people, strategies, behaviours, and outcomes that characterized the freewheeling, hippie-friendly Jesus People. The revolution of faith that is emerging today is no different. If you mention the mission of deeply devoted Christians whose lives are centered on knowing, loving, and serving God independently of a local church, you can count on criticism from the church establishment. Being Kingdom-minded and seeking innovative ways of reaching the world and honouring God suddenly get redefined to mean that such efforts must be approved and controlled by the presiding rulers of the institutional authorities. Some of the same people who profess love to be their hallmark ruthlessly attack anything that threatens their interpretation or turf. The major concern about the revolution is that millions of its adherents are not affiliated with a local church – as the local church is currently defined and seen. Revolutionaries distancing themselves from formal congregations does not reflect a willingness to ignore God as much as a passion to deepen their connectedness to Him. Revolutionaries do not try to draw other people away from the local church. Theirs is a personal choice based on a genuine desire to be holy and obedient, but finding that need better served outside the framework of congregational structures. Those comments and others like it that I hear in all of the nation where I work pushed me to return to the Bible to find out what God actually says about the Church. If you will take a fresh, non-traditional look at the Scriptures you will find, even discover, some interesting things. For instance, when the word church appears in the Bible, it refers to people who are ‘called out’ from society to be the full expression of Jesus Christ on earth. That reminds me of what being a revolutionary is all about: rejecting the norm and paying the cost to stand apart from the crowd to honour God. In fact, when the Bible admonishes us to gather together, it does not imply that that should be a church service or congregational event. “And let us not neglect our meeting together, as some people do, but encourage one another, especially now that the day of His return is drawing near” (Hebrews 10:25). Such interaction could be in a worship service or at Starbucks; it might be satisfied through a Sunday school class or a dinner in a fellow believer’s home. The same God who is more concerned about what is in our hearts than about mindless observance of meaningless routines refuses to impose specific regulations about our religious practices. He wants us to use the creative abilities He entrusted to us to express in our own way how much we love Him and want to glorify Him. The revolution will have a major impact on the culture in which the Church is located. Culture is the accumulation of behaviours and beliefs that characterize a group of people. It is comprised of the attitudes, symbols, language, rewards, expectations, customs, and values that define the experience and context of those people. How will the revolution affect culture? No less dramatically than it will rehabilitate the Church. The most important change will be the heightened visibility of Christian activity by the ever-present believers who are moving with the Spirit and are intent on being the Church in the world as Jesus commanded. They will affect the ways legislation is discussed and passed. They will model a moral lifestyle – and encourage others to follow suit. They will restore dignity to the family as the cornerstone of a healthy society. New types of organizations will replace the inert stalwarts. Seminaries and Bible Schools will be challenged to become relevant or move over. Christian colleges, secondary schools, and elementary schools will be challenged to be more overtly and pragmatically Christian in their endeavours. A more diverse continuum of service (ministry) entities will blossom as believers seek ways to use their skills, money, and time in an effective and life-changing manner. In North America the Christian Church has effectively served as the scapegoat or whipping boy for the mass media for several decades. That will change as the move of the Spirit makes it more difficult to target a Church that is so dispersed and so obsessed with holiness. The standard criticisms will ring hallow; the typical charicatures of Christian people will vanish as the skeptics and critics recognize a wave of change through which true love for others has replaced hypocrisy and infighting. Even the economy will be impacted. Revolutionaries will move their peers with their commitment to hard work and excellence. The renowned Protestant work ethic, which has been replaced in recent years by a more lackadaisical postmodern lifestyle ethic, will return with a third-millennium flavour. 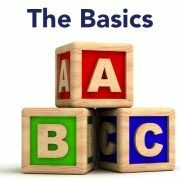 The consumer choices of revolutionaries will instigate a new sector of the marketplace geared toward meeting their needs; existing entities that produce garbage antithetical to God’s principles will face a serious fight for survival amidst the example and multidimensional attacks of the growing revolutionary population. All of this might come off sounding as if all evil will be whisked away and only gentility, civility, love, and goodness will remain. Nothing could be further from the truth. Life will remain a war zone. Until Jesus Christ returns, the battle will rage on. Revolutionaries will have an impact, but they will not dominate the culture – at least not in the foreseeable future. After all, they too are sinners. They are and always will be imperfect creatures. They will fall prey to greed, lust, selfishness, and all the other vices and lures that Satan uses to undermine God’s ways and His people. Conditions will be better, but this is not a return to the Garden of Eden. Spiritual maturity is a process. En route to maturity, you can count on a lot of false starts and stumbling. Revolutions are famous for being messy: things rarely go as planned and are notoriously inefficient. We see no reason to expect this budding revolution of faith to be any different. But this does not erase the phenomenal significance of this historic quest for more of God in the life of those who embrace this move of the Spirit. The world will never be the same. The revolution we have been talking about will permanently alter the contours of the Body of Christ wherever and whenever it is seriously embraced. Of course, when a massive number of its constituency is transformed, the body itself is reshaped, by definition. But how the community sees itself and how it performs its functions as a community, will change. New leaders will gain recognition and authority among believers. Their role will not be building new institutions to replace the old. Rather, it will be providing guidance in the construction of new hearts and minds that produce a thriving Church community. Weaving together the spectrum of ideas, talents, and resources of believers into a richer ministry tapestry will be their challenge. Power, authority, and resources will be defined, awarded, recognized, and utilized in different ways as the move of the Spirit matures. The systems and structures that fostered the old Church will give way to new realities in the revolution. New ministry organizations will emerge. Different educational methods and training systems will prosper. Technology will become more important in the networking and restructuring of the Church in its mission. Whereas “Christian community” has generally been limited to the relationships facilitated within a congregation, the revolution is bursting open the walls of the worldwide Church to birth a truly international network of relationships. The synergies resulting from this expanded horizon will be impossible to quantify – or contain. Christians’ broader view of the Church and of their own responsibilities will also bring forth a renaissance in global missions. There will also be a major impact on the local church…. Existing churches have a historic decision to make: to ignore the revolution and new move of the Spirit and continue business as usual, to invest energy in fighting the revolution as an unbiblical advance, or to look for ways of retaining their identity while cooperating with the revolution as a mark of unity and genuine ministry. Current research suggests that the latter approach of embracing change and the revolution will be the least common. For the local churches whose leaders choose either to ignore or fight the revolution, the consequences are predictable. A percentage of them will be seriously impaired by the exodus of individuals – even though it may be just a few people leaving an already tiny congregation. Other churches will continue as if nothing new were happening in the faith world. However, every church, regardless of its public response to the move of the Spirit, will feel increasing internal and external pressure to get more serious about ministry and to lock into a vision from God for the congregation’s existence. 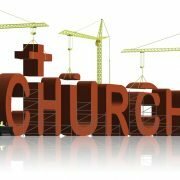 We will see a reduction in the number of churches as presently configured (congregational-formatted ministries). Church service attendance will decline as Christians devote their time to a wider array of spiritual events. Donations to churches will drop because millions of believers will invest their money in other ministry ventures. Churches’ already limited cultural influence will diminish even further at the same time that Christians will exert greater influence through more disparate mechanisms. Fewer church programs will be sustained in favour of more communal experiences among Christians. A declining number of professional clergy will receive a livable salary from their churches. Denominations will go through cutbacks and executives will be relieved of their duties as their boards attempt to understand and halt the hemorrhaging. To some, this will sound like the Great Fall of the Church. To revolutionaries, it will be the Great Reawakening of the Church. New scenarios do not mean mayhem and dissipation, In this case, I believe they represent a new day in which the Church can truly be the Church – different from what we know today, but more responsive to and reflective of God. So, let’s look at why this current Kingdom movement – the revolution – matters. Change is a constant as we all know. It is an unavoidable part of life. We endure changes and their personal implications every day – changes in technology, global politics, public policy, personal relationships, professional status, self-image, and more. Some of those changes happen to us; others happen because of us; all of them have some degree of influence on who we are and how we live. Think about past revolutions and the effect they have had on the world. The Protestant revolution redefined faith. The religious authority structure was altered. The place of the Bible was radically changed, from a sacred book interpreted for the masses by professionals to God’s personal words to sinners. Worship became more intimate. The burden of responsibility for the breadth and depth of faith jumped from the local church to the individual. The Pope went from being the preeminent religious leader of planet Earth to the preeminent religious leader of the world’s largest denomination. The revolution of faith that is swelling within the soul of many nations today is no different in scope. It will affect you and everyone you know. Every social institution will be affected. This is not simply a movement: it is a full-scale reengineering of the role of faith in personal lives, the religious community, and society at large. The burgeoning faith revolution is markedly different from the two major faith revolutions that changed the face of the Church – and that took place in the United States of America with worldwide implications. The Great Awakening swept through America from the 1730s through the 1760s. Like all successful revolutions, it provided new leaders, language, ideas, technologies, and structures. The Second Great Awakening in the 1820s and 1830s, introduced similar realities. But the catalyst for both of these religious juntas was an emphasis on sin, the need for forgiveness, and the means to salvation. The ultimate product was the first-time spiritual conversion of sinners. The Great Awakenings were spiritual revivals in the truest sense. The new revolution we are now seeing differs in that its primary impetus is not salvation among the unrepentant but the personal renewal and recommitment of believers. The dominant catalyst is people’s desperation for a genuine relationship with God. The renewal of that relationship spurs believers to participate in spreading the Gospel. Rather than relying on a relative handful of inspired preachers to promote a local revival, the emerging revolution is truly a grassroots explosion of commitment to God that will refine the Church, redefine the Church, and result in a natural and widespread immersion in outreach. This is the Church being restored so the Holy Spirit can work effectively through the Body of Christ.